Ladies and gentlemen, the moment you’ve been dreading is finally here, TweetDeck has just announced that it will be killing off its TweetDeck AIR, TweetDeck for Android and TweetDeck for iPhone app, and they will be removed from their respective app stores in early May; the company also announced that these apps will stop functioning shortly thereafter, they will also be killing off their support for Facebook integration. According to a post on TweetDeck’s blog, they will be channelling all their focus on their modern, web-based versions of TweetDeck so don’t be too upset, you still can open up TweetDeck on your browser and enjoy its services. 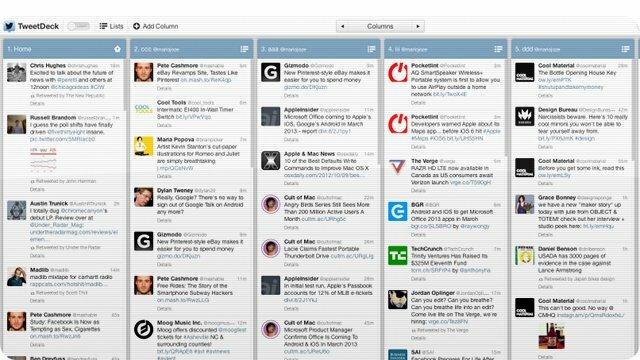 TweetDeck also has a Chrome app that is available for download immediately and it comes with a host of new improvements including a new look and feel, tools like autocomplete on search box and search filters, and auto-updating Tweet streams so you can see the latest updates on your feed. Visit TweetDeck for more information.